Note from Editor. 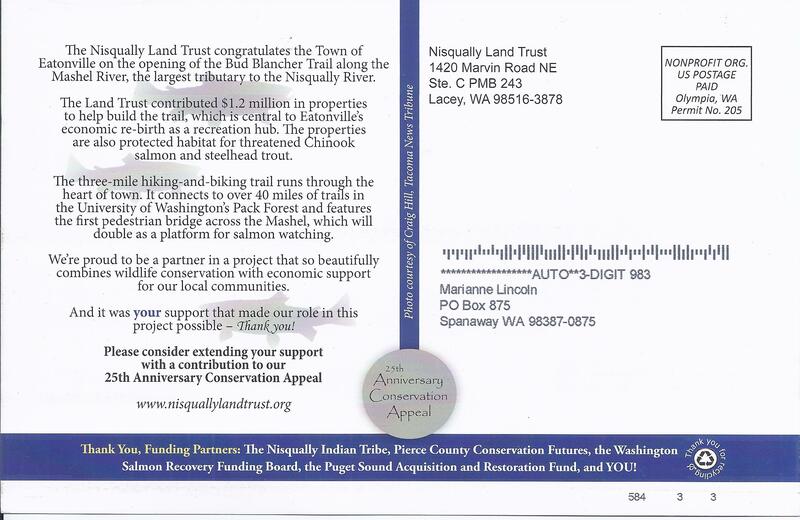 I received this note from the Nisqually Land Trust several days ago. I was charmed to see the tribute to Bud Blancher. I grew up knowing Bud. He was part owner with my father in a Waco UPF7. We often went to Thun Field to visit the plane and belonged to a flying club which also included Bud and his sister Judy. I remember in the 1960’s how they were so athletic and did a considerable amount of hiking and even bicycled around Europe. Bud later was partner in a small Bell helicopter with my father and 19 people total. They needed Bud, because it often needed repair and he knew how to fix anything. They barnstormed the “chopper” at the Puyallup Fair, providing rides to hundreds each year around 1966–1967. He was incredibly smart and often worked at inventing things. 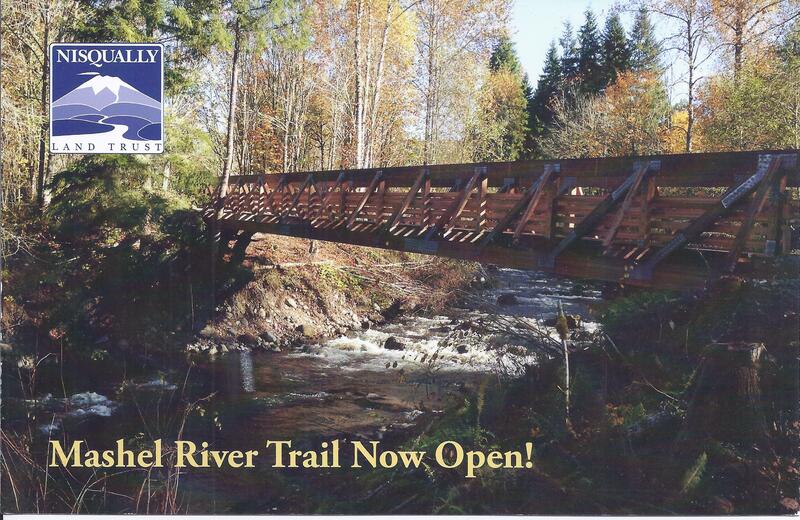 In later years he and his wife Candy built a log home on the creek north of the Eatonville airport. He asked me to help teach him how to use his newfangled computer. He learned very quickly. He was an amazing person. A little introverted, but brilliant. He had a great tan, a sunny smile, was incredibly athletic and had a low chuckle that was unique to him. I belong to the I miss Bud club… those were the days.